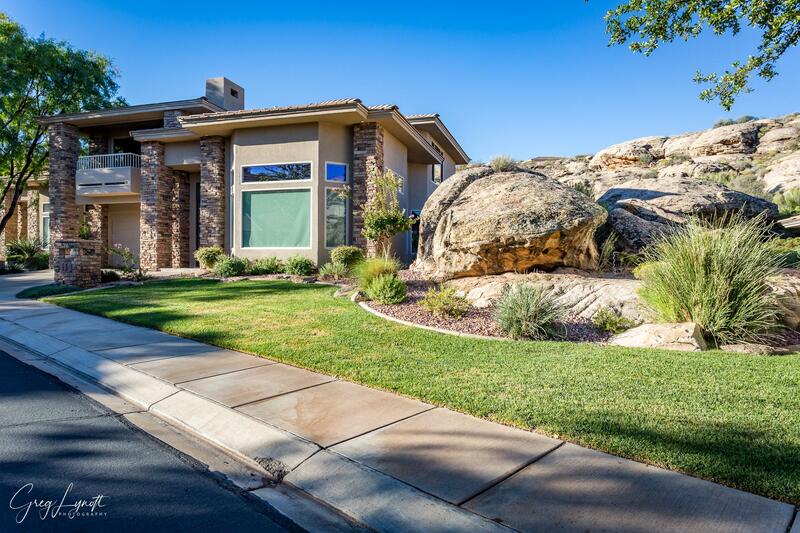 All STONE CLIFF homes currently listed for sale in St George as of 04/19/2019 are shown below. You can change the search criteria at any time by pressing the 'Change Search' button below. 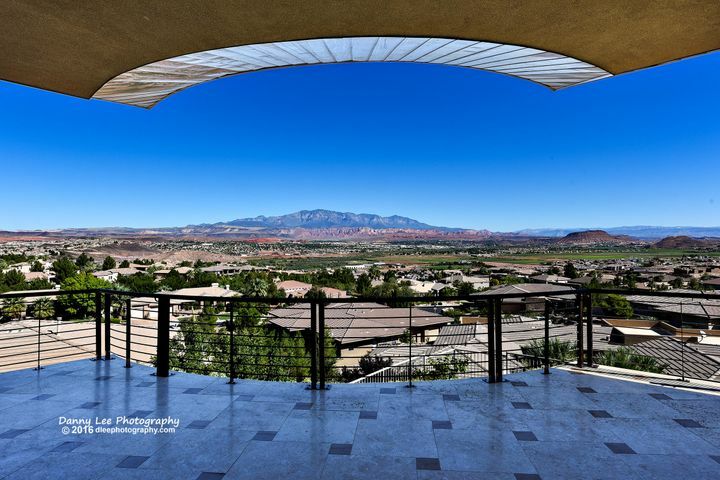 "Forever unobstructed 180-degree views from the desirable rim of the gated and guarded Stone Cliff community. Abundance of windows offer the light and beauty of the city and surrounding mountains. All rear windows have solar shades operated by remote control, wall panels, or the WiFi Control4 System. Two Levels of outdoor living spaces are inviting, relaxing and very private. 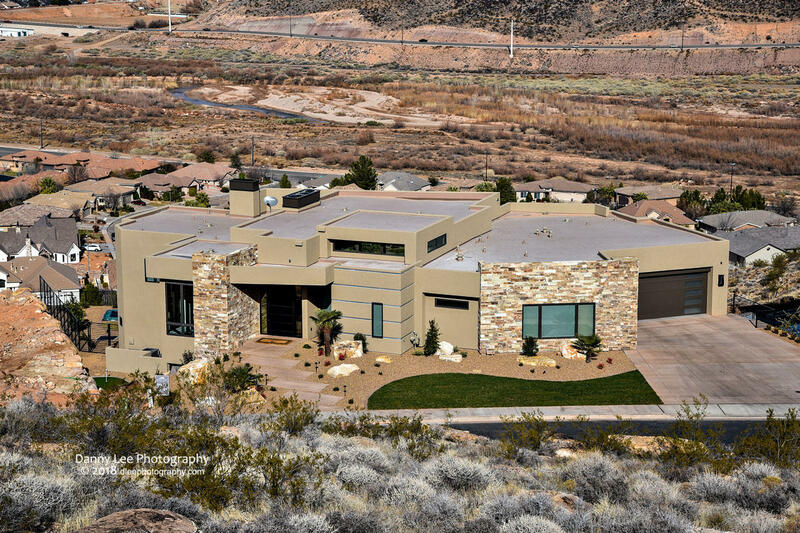 Wading pool/spa ..."
"MAGNIFICENT MASTERPIECE featuring VIEWS of Pine Mtn,St George City & Surrounding Valley! Located in a Secluded Cul-De-Sac..12 & 10 foot Ceilings,Supersized View Windows,Hardwood Doors & Trim,CUSTOM POOL & SPA,Huge Covered Patio w/Built in BBQ,Gas Fire pit,ENERGY EFFICIENT heating/cooling. 2nd Master Suite,Attached Guest Suite, Huge Oversized 4 Car Garage! Expertise in Design & Craftsmanship." "Attention to detail and superb craftsmanship set this old-world European style home apart from other homes in this price range. Large Viking appliances command your attention in the upstairs gourmet kitchen while the cavernous hidden pantry is large enough to park a small car in. The formal dining room features a private loggia with spectacular views of Pine Mountain and surrounding area." 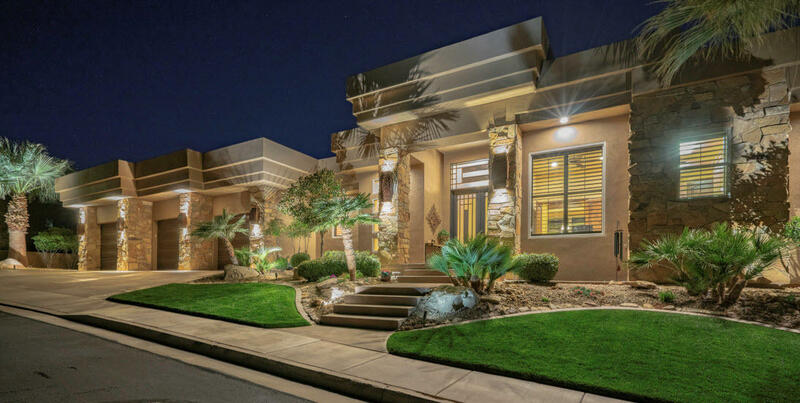 "This spectacular home is situated on a corner lot and includes amazing views! Bright, open living space. The walk-out basement opens to a beautiful salt water pool and splash pad. This home a must see! Schedule an appointment today!New Washington Fields Intermediate School coming soon." 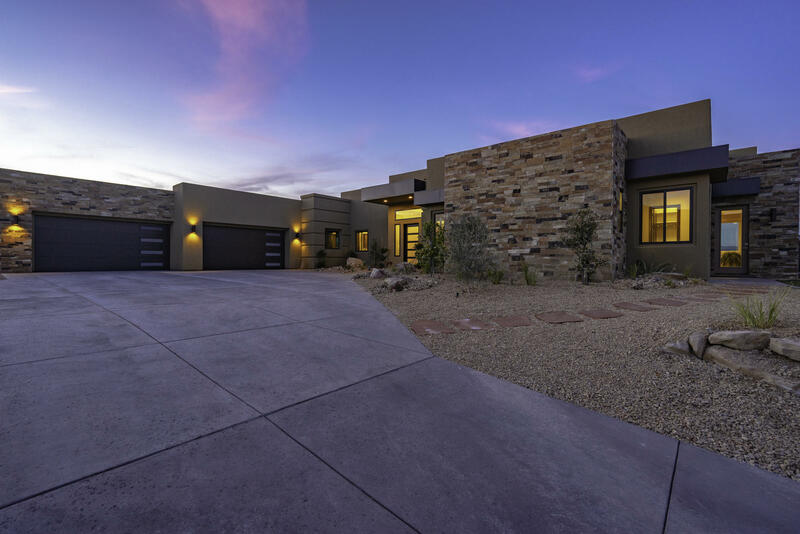 "Former Parade Home in Premier Gated Community of Stone Cliff. Great Floor Plan with Casita, Office, Large Pantry. Enjoy expansive views from the large covered balcony with outdoor kitchen. Game room & Cozy Theater Room. Affordable Dixie Power & Low HOA Fees include Clubhouse with large indoor/outdoor pools, fitness room, pickle ball & tennis courts. New Boundary for the new High School." 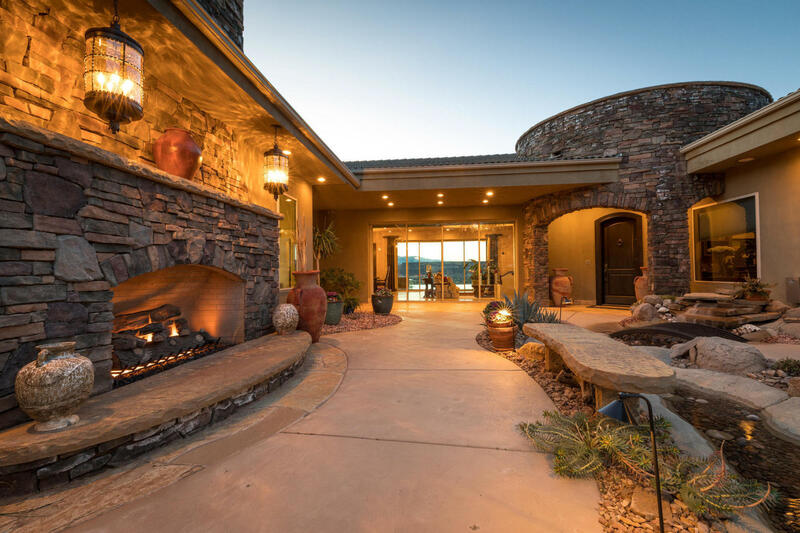 "This gorgeous estate is perfectly situated to take in 270 degree views of the city, Pine Mountain and Zion! The gourmet kitchen offers an abundance of cabinet and counter space, and the open floor plan is perfect for entertaining. This home is located on a cul-de-sac so little traffic and easy maintenance so great for a primary or second home." 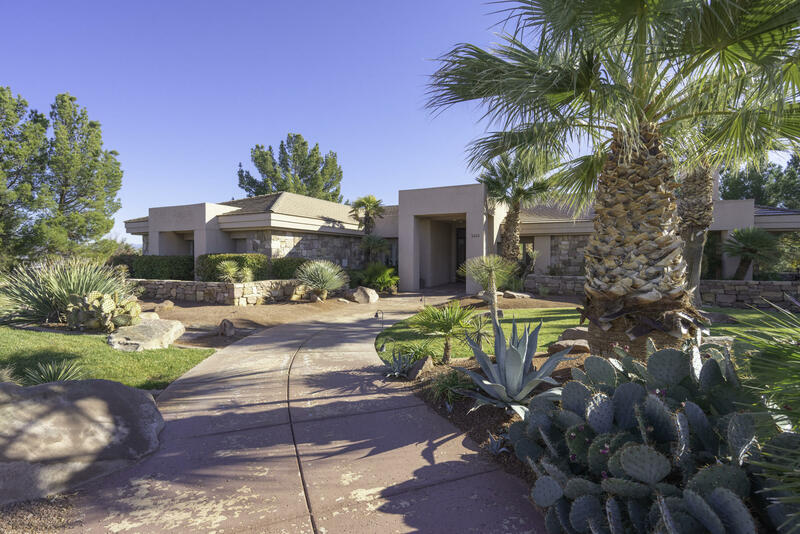 "LUXURIOUS CUSTOM BUILT STONE CLIFF RESORT TYPE PROPERTY WITH FULL CASITA & 6 CAR GARAGE. CABINETRY & WOOD IS ALL EXPENSIVE QUARTER SAWN. 12 FT. CEILINGS IN HOME & GARAGES. 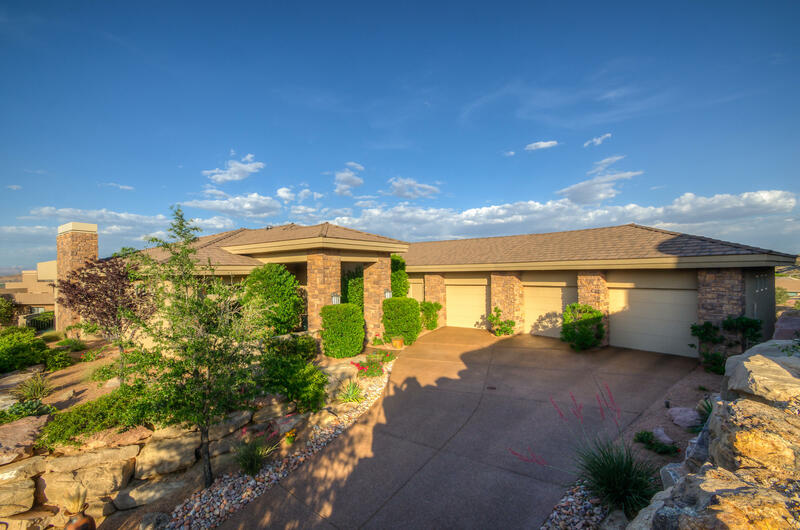 CASITA WITH FULL KITCHEN, SITTING AREA, FULL BATH, SLEEPING AREA & PATIO, WITH PRIVATE ENTRANCE. 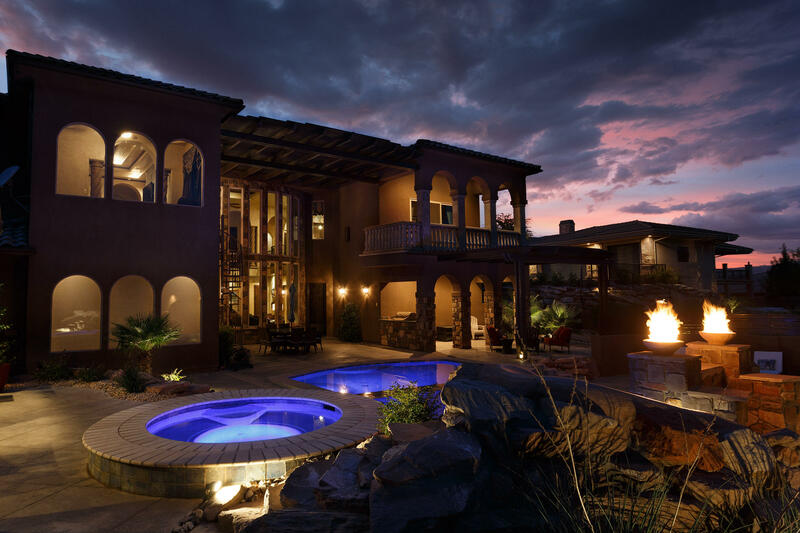 MAGNIFICENT POOL WITH IN WATER SEATING, SEPARATE SPA, SUNKEN BARBECUE PIT, & MANY PALM TREES. THIS PROPERTY HAS IT ALL!" "Single level living w/ detached Casita. Casita has kitchenette, sitting area, laundry, walk-in closet, and its own HVAC. 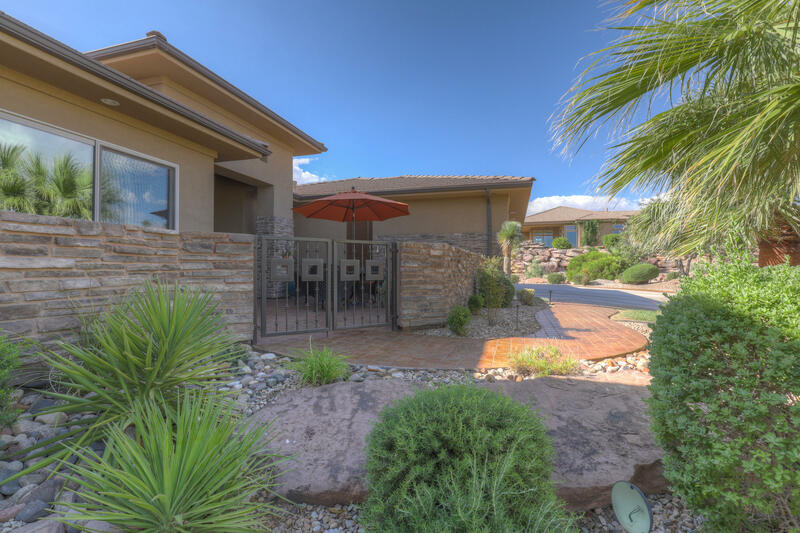 Gated courtyard w/ water feature that runs below the home to the backyard w/ private pool & spa. North facing backyard with views of Pine Valley Mtn & city lights. Each room has en-suite bathrooms. Living room & family room, dining nook, & office. 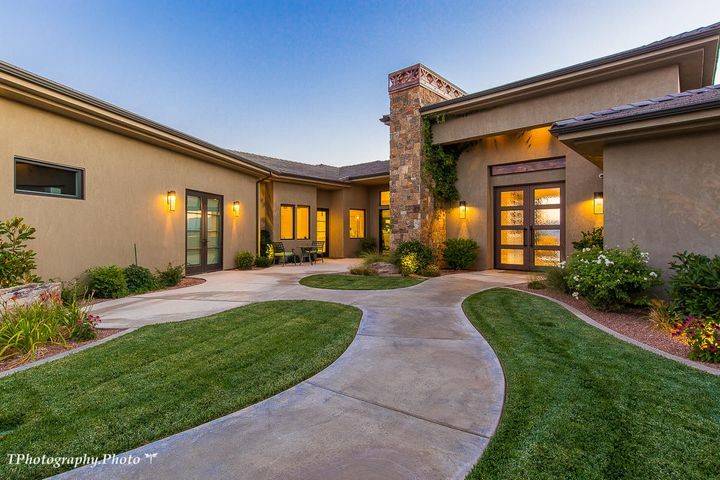 Large master suite w/ fireplace"
"Views of Pine Valley Mtn, Zion NP, Red Cliffs & city lights, in gated Stone Cliff. Private covered patio w/water feature. 3 bedrooms, each with private bath; powder room plus office w/built-in cabinets; (Can be 4th bedroom) copper kitchen range hood; storage throughout. 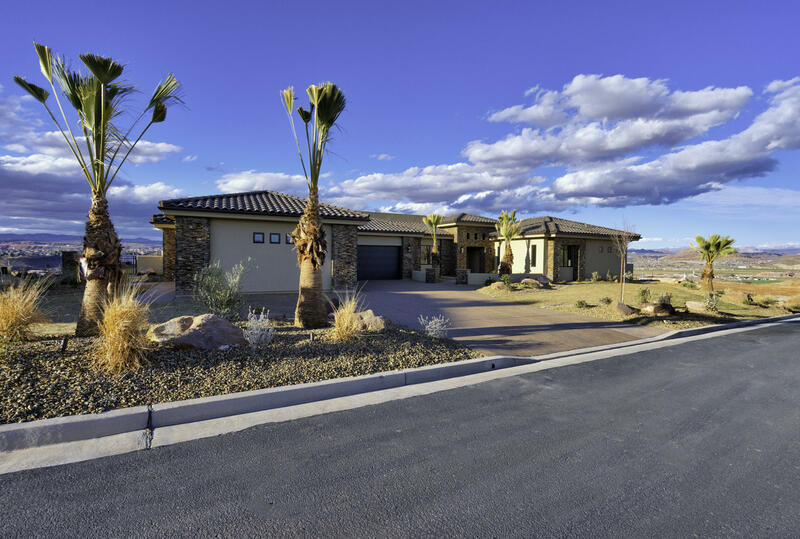 Oversized 3 car garage or oversized 2 car garage with 600 SF temperature controlled bonus room. ..."
"Live in the premier Stone Cliff Townhome at a fabulous price. 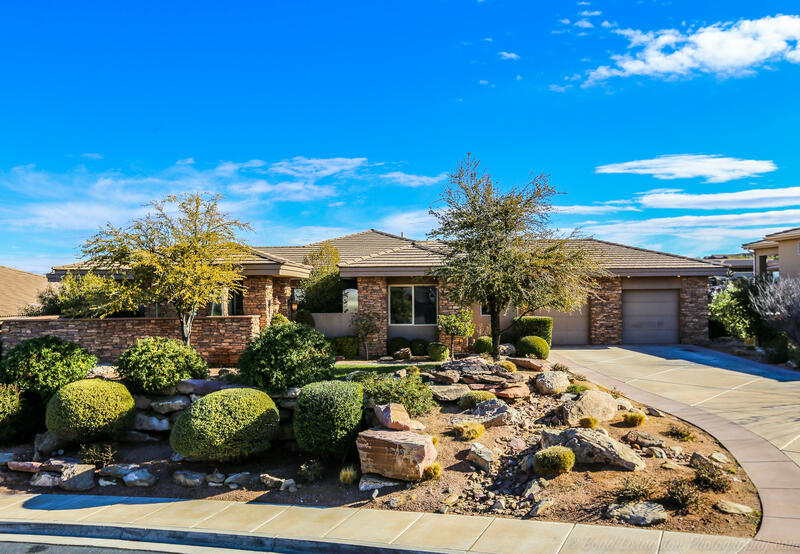 Open & bright, Secluded Backyard with Water Feature & Covered Patio. Professional kitchen with Viking & Bosch appliances. 3rd Bedroom is oversized on Upper Level with Fireplace & Balcony, currently being used as a Large Family/Media room, can add a wall to convert to a small bedroom & Cozy Family room. Remodeled in 2010, built in 1999"